Home / Brands / Biedermann & Sons Inc.
We are proud to be a retailer of the exclusive Biedermann ornament. Whether you need the current year or are looking for prior years to fill your collection, we are happy to help. "More than 800 years ago, the village of Schwaebisch Gmuend was founded by the Kings of Staufen, who were responsible for settling this region known for its artisans specializing in the production of gold, silver, and brass jewelry as well as decorative ornaments. These works of art were shipped to markets in Italy and Western Europe. The tradition in metal arts survives today in this medieval walled town located near Stuttgart, Germany. For generations families have engaged in ornament cutting, designing their own unique decorations to give friends and relatives as gifts during the holiday season. 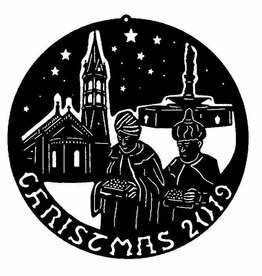 The Biedermanns originated the creation of a single Christmas ornament commemorating each year, drawing on the talent from this region. In the fall of 1970 we contacted several artisan families who among them designed and cut the first ornament, which depicted the town square of Schwaebisch Gmuend. Our Master Cutter, Georg Neumaier, directs the production of the Biedermann Commemorative Ornament and is also involved in selecting the year’s winning design. The now very valuable original brass ornament was supplemented in 1984 by our first edition silver-plated ornament. 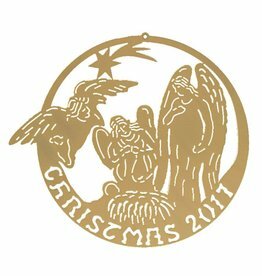 Beginning in 1987, alternate years depict the story of “The Twelve Days of Christmas.” Nineteen ninety-eight began the first edition of the “Christmas Quotations” Series of ornaments. 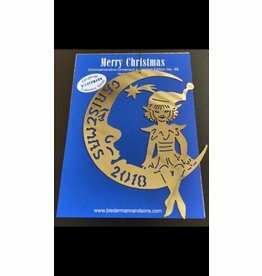 We take pride in offering the Biedermann Commemorative Ornaments to you, the collector, and to all connoisseurs of tasteful, high quality craftsmanship." Popularity Newest products Lowest price Highest price Name ascending Name descending All brands Biedermann & Sons Inc.